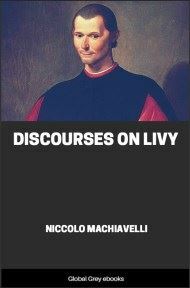 The Discourses on Livy is a work of political history and philosophy written in the early 16th century. The title identifies the work's subject as the first ten books of Livy's Ab urbe condita, which relate the expansion of Rome through the end of the Third Samnite War in 293 BCE. Machiavelli frequently describes Romans and other ancient peoples as superior models for his contemporaries, but he also describes political greatness as something which comes and goes amongst peoples, in cycles. 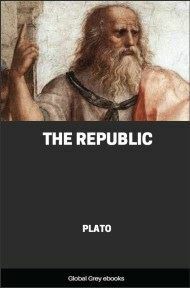 Those who read what the beginning of the City of Rome was, and of her Law-givers and how it was organized, do not wonder that so much virtu had been maintained for so many centuries in that City, and that afterward there should have been born that Empire to which that Republic was joined. And wanting first to discuss its birth, I say that all Cities are built either by men born in the place where they build it or by foreigners. The first case occurs when it appears to the inhabitants that they do not live securely when dispersed into many and small parties, each unable by himself both because of the location and the small number to resist attacks of those who should assault them, and they are not in time (the enemy coming) in waiting for their defense: or if they should be, they must abandon many of their refuges, and thus they would quickly become the prey of their enemies: so much that in order to avoid these dangers, moved either by themselves or by some one among them of greater authority, they restrict themselves to live together in a place selected by them, more convenient to live in and more easy to defend. Of these, among others, have been Athens and Venice: the first under the authority of Theseus was built by the dispersed inhabitants for like reasons: the other built by many people [who] had come to certain small islands situated at the head of the Adriatic Sea, in order to escape those wars which every day were arising in Italy because of the coming of new barbarians after the decline of that Roman Empire, began among themselves, without any particular Prince who should organize them, to live under those laws which appeared to them best suited in maintaining it [their new state]. In this they succeeded happily because of the long peace which the site gave to them [for] that sea not having issue, where those people who were afflicting Italy, not having ships with which they could invest them; so that from a small beginning they were enabled to come to that greatness which they now have. 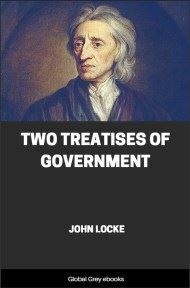 The second case, when a city is built by foreign forces, is caused by free men and by men who depend on others, such as the Colonies sent either by a Republic or by a Prince to relieve their towns of [excessive] inhabitants or for the defense of that country which they have newly acquired [and] want to maintain securely and without expense; [thy Roman people built many cities, throughout all their Empire] or they are built by a Prince, not to live there but for his own glory, as was the City of Alexandria built by Alexander. And because these cities at their origin do not have their freedom, it rarely happens that they make great progress and are able to be numbered among the chief Kingdoms. Such was the building of Florence, for [it was built either by the soldiers of Sulla, or perhaps by the inhabitants of the Mountains of Fiesole, who trusting in that long peace which prevailed in the world under Octavian were led to live in the plain along the Arno] it was built under the Roman Empire, and could not in its beginning have any other growth that those which were conceded to her through the courtesy of the Prince. The builders of Cities are free when any people either under a Prince or by themselves are constrained either by pestilence or by famine or by war to abandon their native country, and seek new homes: These either inhabit the cities that they find in the countries they acquire, as Moses did, or they build new ones, as Eneas did. 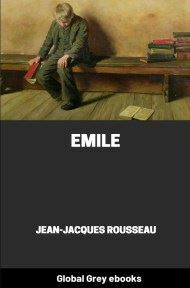 This is a case where the virtu and fortune of the builder of the edifice is recognized, which is of greater or less wonder according as that man who was the beginner was of greater or less virtu. The virtu of whom is recognized in two ways: the first is in the selection of the site, the other in the establishment of the laws. And because men work either from necessity or from choice: and because it is seen here that virtu is greater where choice has less authority [results from necessity], it is [something] to be considered whether it would be better for the building of a city to select sterile places, so that men constrained to be industrious and less occupied with idleness, should live more united, where, because of the poverty of the site, they should have less cause for discord, as happened at Ragusa and in many other cities built in similar places; which selection would without doubt be more wise and more useful if men would be content to live of their own [possessions], and not want to seek to command that of others. 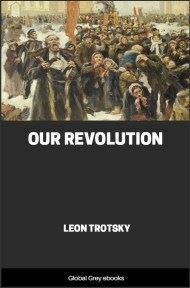 However, as men are not able to make themselves secure except through power, it is necessary to avoid this sterility of country and locate it in very fertile places, where because of the fertility of the site, it can grow, can defend itself from whoever should assault it, and suppress whoever should oppose its aggrandizement. And as to that idleness which the site should encourage, it ought to be arranged that in that necessity the laws should constrain them [to work] where the site does not constrain them [does not do so], and to imitate those who have been wise and have lived in most amenable and most fertile countries, which are apt to making men idle and unable to exercise any virtu: that to obviate those which the amenity of the country may cause through idleness, they imposed the necessity of exercise on those who were to be soldiers: of a kind that, because of such orders, they became better soldiers than [men] in those countries where nature has been harsh and sterile: among which was the Kingdom of Egypt, which notwithstanding that the country was most amenable, that necessity ordained by the laws was so great, that most excellent men resulted therefrom: and if their names had not been extinguished by antiquity, it would be seen that they would have merited more praise than Alexander the Great, and many others of whom memory is still fresh. And whoever had considered the Kingdom of Soldan and the order of the Mamelukes, and of their military [organization] before it was destroyed by Selim the Grand Turk, would have seen there how much the soldiers exercised, and in fact would have known how much they feared that idleness to which the benignity of the country could lead them if they had not obviated it by the strongest laws. 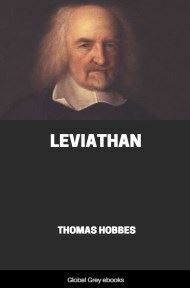 I say therefore that the selection of a fertile location in establishing [a city] is more prudent when [the results] of that fertility can be restricted within given limits by laws.